So I've been saying for a while that big plans are afoot for Star Bakery and here it is - we're merging with a fellow cake company! 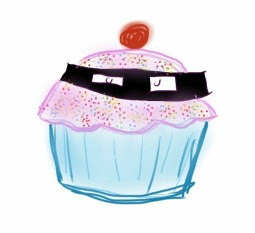 Heavenly Cupcakes is a Nottingham cake company run by the lovely Maidie Semiras and in order for us to continue on our quest to spread the cake love we've decided to merge and start a shiny new business specialising in premium baked goods. 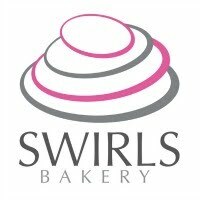 We've decided to call it Swirls Bakery and you can see our Facbook fan page here. Star Bakery will eventually start to wind down but with lots of orders on our books throughout the rest of 2011 and into 2012 we'll stay here and continue as normal for the immediate future - albeit with a VERY limited order book! Any clients who have confirmed orders with us will see no change in service. I'll reveal more about our new business in weeks to come but the biggest change will be the introduction of a new minimum order for cupcakes - 100+. This might seem a lot but with so many yummy cake companies out there offering gift boxes now we want to be able to make you some amazing cake displays and create things in cake that can only be imagined...watch this space. Oh and if you want to see our first Swirls product then watch this little video. And yes, that chair is made of cake.